Projectors are one of the best inventions. The main use of the projector is to have a visual communication with the gatherings. There are various type of projectors are available in the market. They are, Multimedia projectors, Overhead projectors, Digital projectors, and LCD projectors. In these categories of projectors, multimedia projector is a projector which is used for multimedia presentation. Multimedia is the combination of audio, video and textual content. 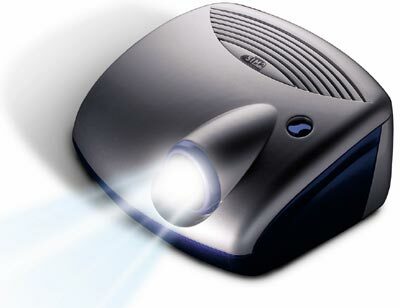 Most of the classrooms in schools and colleges are fitted with these types of projectors. The projector gets the signal from the computer and magnifies it and displays in the large screen. This article will give you some tips to buy a multimedia projector. Model and brand: You can find a wide range of projector in the market. Choose the model which you need to purchase and also the brand. Consider the purpose for the projector, if it is to be used in an auditorium means a big size projector is needed. If the projector is frequently moved from one place to another place means, it’s advisable to buy a light weight projector. The above mentioned usages must be noted while buying a multimedia projector. Go to some online stores and compare the prices and features of various projectors. Transport: There are various types of projectors, some are light weight and easily transportable. Some may be heavy. So choose the projector according to your usage. You must buy a projector that will be suitable for your purposes. Brightness and audio system: Brightness is the most needed thing for a projector. Note the brightness of the projector before buying it. Audio system is the most notable thing. You will usually use these projectors in home and offices so the audio system must be to a good level. Most of the multimedia projectors are coming with an inbuilt audio system. Determine the type of the projector such as LCD, DLP or LDC. Warranty policy and options: Try to buy a projector which has high period of warranty, because all the electronic goods have many disadvantages and easily attacked by voltage variations. So you must have warranty to replace them or else you need to give the money from your wallet. Try to talk with the shopkeeper to give a trail for the projectors performance before buying it. Notice the faults that the projector causes during the trail session. Once the projector is fitted, ask the technician to give demonstration of the various features of the projector. Learn from him how to increase or decrease the brightness of the projector.